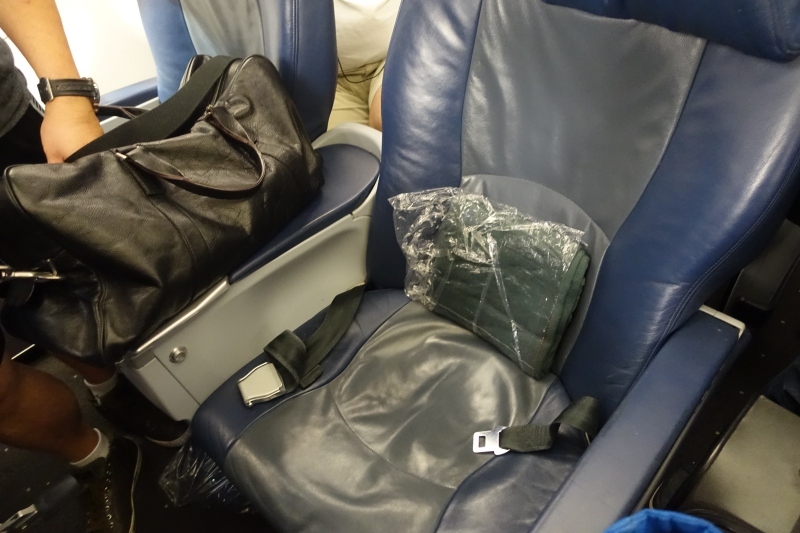 This American Airlines Old A321 First Class review is part of a new trip report to Asia. Since unfortunately there was no award space on American Airlines' A321 Transcontinental Business Class for my date, I took old American A321 domestic first class to Los Angeles LAX. 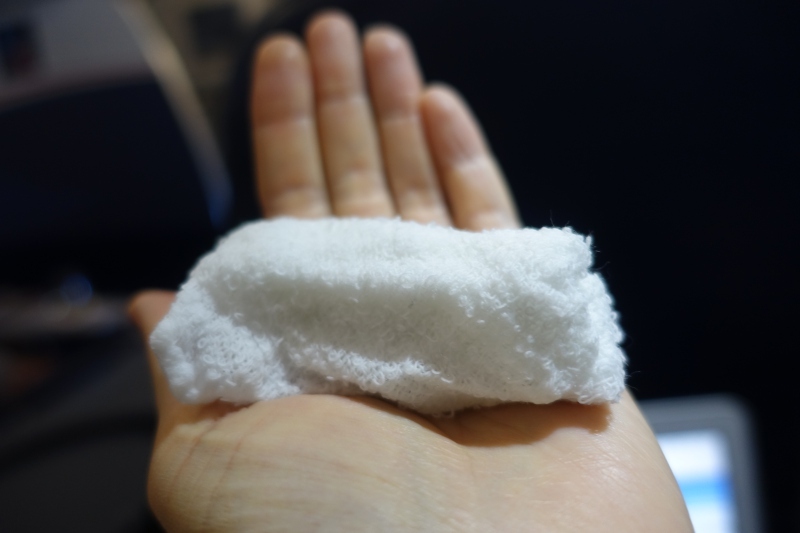 For the prior review, please see Review: The Centurion Lounge New York LaGuardia Airport (LGA). American Airlines' old A321 First Class cabins are in stark contrast to the new American Airlines 32B transcontinental first class and AA 321 transcon business class, both with flat bed seats. Those cabins and seats are very comfortable, whereas these old A321 first class seats couldn't be more different. There are a total of 16 seats in a 2-2 configuration, with 4 rows. 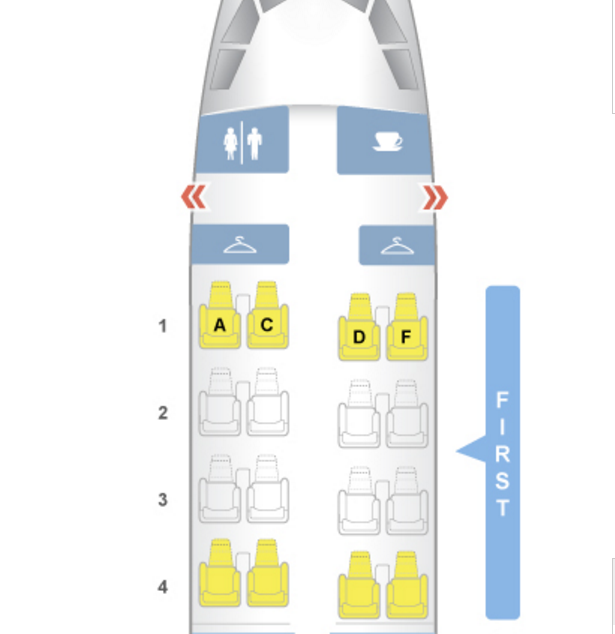 I'd avoid the last row, and you may or may not like the first row, since there's no under seat storage. In fact, that was a problem for me in row 2, since the guy in 1D saw fit to take all the storage space above my seat and across from my seat, which I wasn't too happy about. But the lack of overhead bin space was minor compared to how uncomfortable the seat was. Yes, it was plenty wide, at 21 inches, but there was little padding in the seat portion, and the seat barely reclined. Did whoever designed these seats actually fly in them for 5 hours? I couldn't help wishing I was in an Air New Zealand Premium Economy seat, which had much greater recline and a foot rest (not to mention friendlier cabin crew). The other surprising thing, to me at least, since I do so little domestic travel, with most of that in JetBlue, was the complete lack of an in-flight entertainment system. Nor were any IFE consoles handed out. 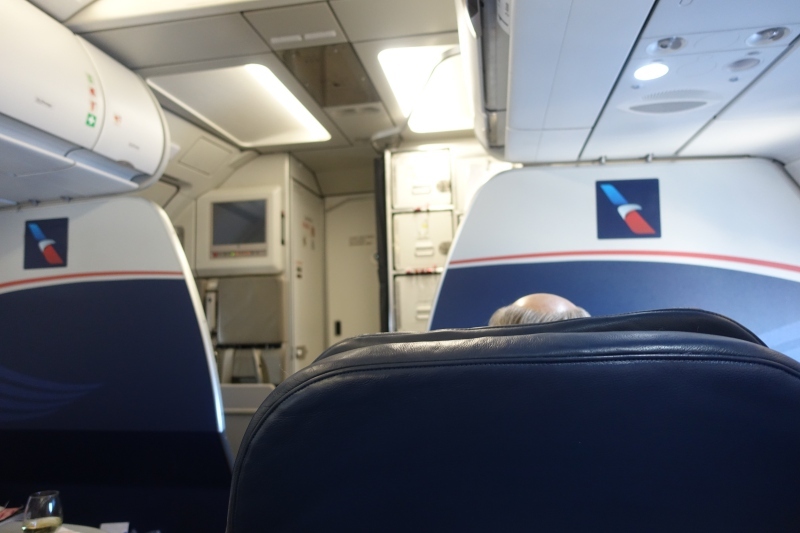 While I don't use the IFE much anyway, I wouldn't have minded some distraction from how uncomfortable the seats were. 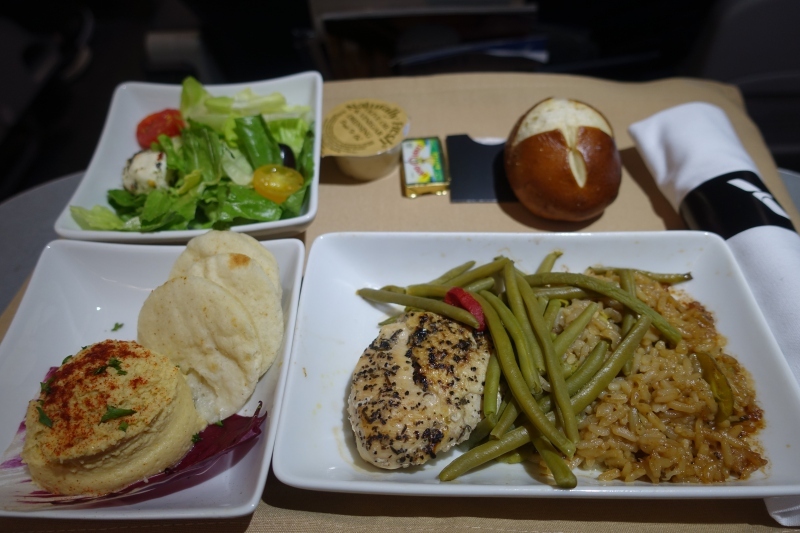 American Airlines now gives business and first class passengers the option to pre-order their meal on most flights. This is obviously not like Singapore Airlines Book the Cook, where you can order from an expanded menu of dishes that would otherwise not be offered on the flight. Rather, it's just a way to ensure that you receive the meal selection that you prefer. And then a drink and mixed nuts. I thought it was customary to warm up the mixed nuts, but these were room temperature. 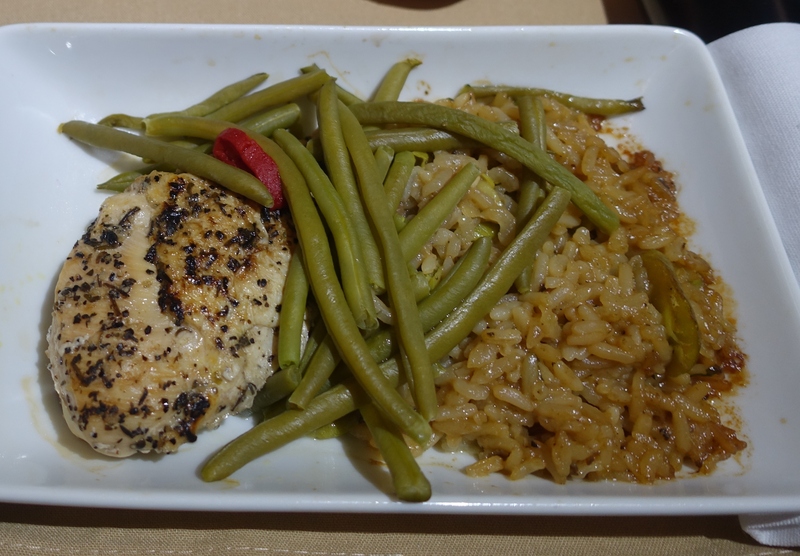 On my flight, the choices were lasagna or roast chicken with mushroom risotto and green beans. I chose the chicken dish, which was overcooked, particularly the limp and dull grey beans. If you like to boil your vegetables so as to destroy all possible taste and nutritional value, this meal was for you. The best aspect of the meal was the hummus, although the mini pita rounds it came with were cold and dry; instead, the pretzel roll was much fresher tasting and good with the hummus. No dessert was served right after the meal, and I began to think that perhaps there wasn't any. 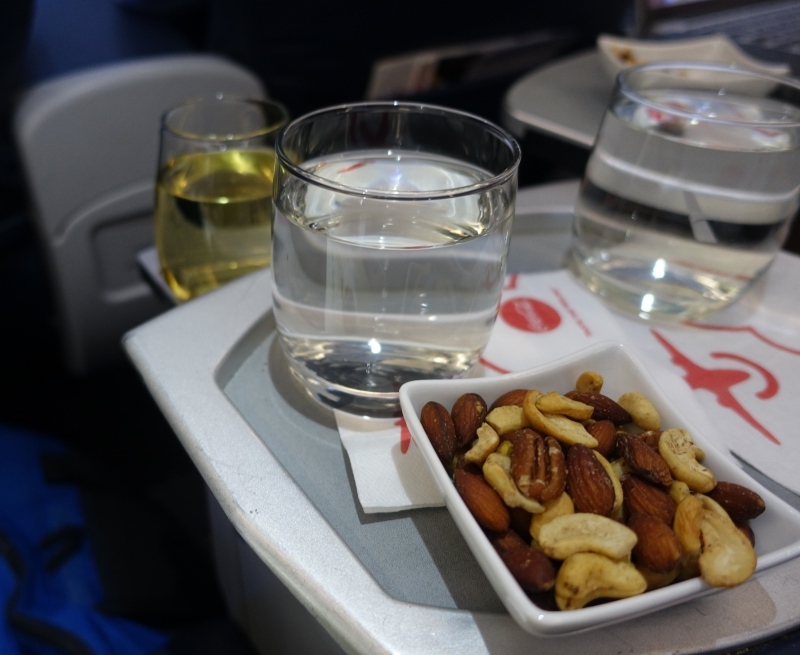 About 90 minutes after the meal, there was ice cream after all, although not Ben & Jerry's and not a sundae, as we'd had on our American A321 Flat Bed Business Class transcontinental flight earlier this year. After this flight, I'm even more grateful to NOT be a domestic road warrior, as even on this domestic flight I found the seat plain awful, with barely any recline, and insufficient padding to be comfortable for me for more than half an hour. There's no IFE either, which given that I rarely fly domestic, I'd never encountered before. 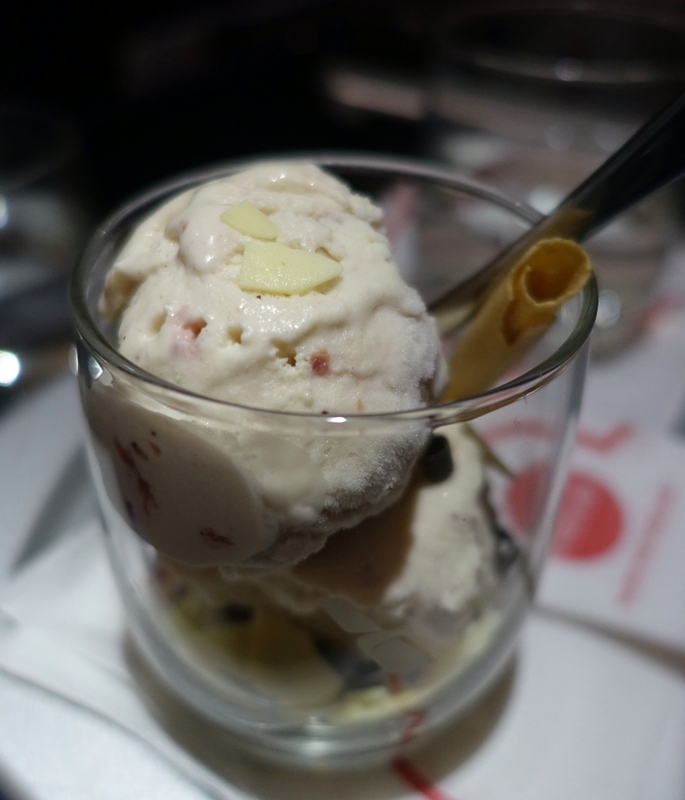 And while meal pre-ordering is nice, the meal itself was worse than what I've had in some international economy class flights; the highlight was the ice cream, even though it wasn't especially good quality. 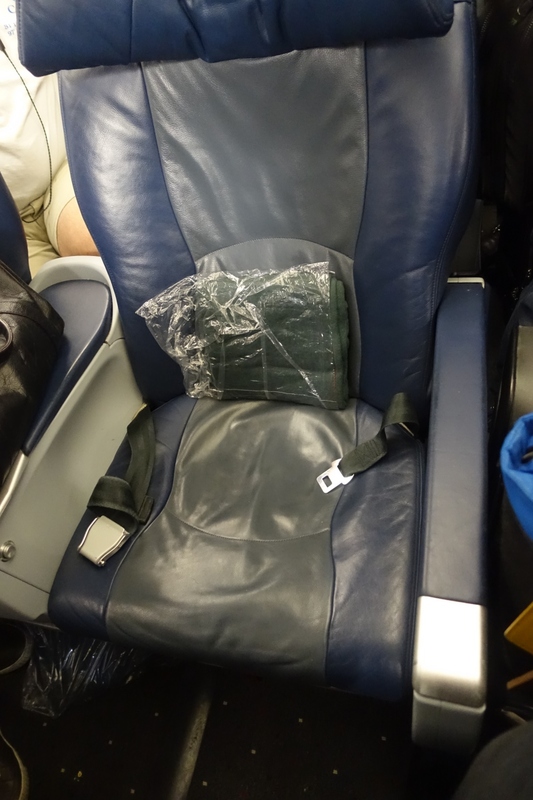 If you've flown in American Airlines old A321 first class domestically, what was your experience?